You are here: Home / Environmental health / Hip hop. Blog hop. Happy news from here: I’ve joined an online collective with some wonderful Aussie health colleagues (naturopaths, acupuncturists, aromatherapists and a horticulturist) with whom I’ll soon be doing some bloggy exchanges. Will be great! Our Health and Happiness Collective (!) is kicking off with a blog hop. Something I actually knew very little about until Margi proposed it several weeks ago. Over the next couple of weeks, each of us will share our perspective, knowledge and experience on a particular topic. We’ll all write about the same topic, in order to create a conversation incorporating a wide range of ideas on health and happiness. The topic for our first blog hop? As each member of the collective posts a blog, I’ll be sharing their work, to ensure that everyone can get in on the ideas and discussion. I’ll also be contributing (of course!) with my own thoughts on change, health and happiness. I’ve listed the collective members below so that you can click over and see some of their lovely work. 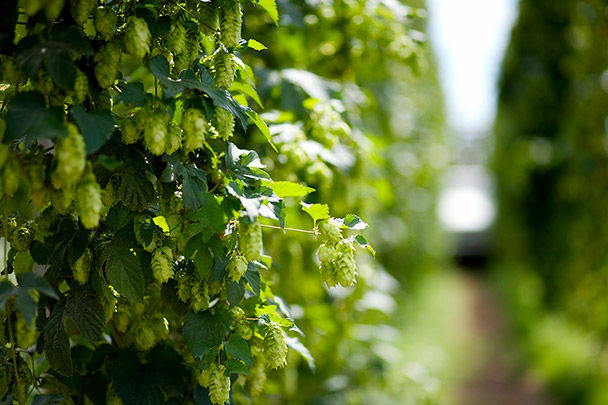 This is a hops plant, by the way. Get it? Hops… blog HOP… it’s a herb nerd thing. I’m looking forward to reading what my collective fellows have to offer and hope you enjoy our hop! Can’t wait! This is going to be great!